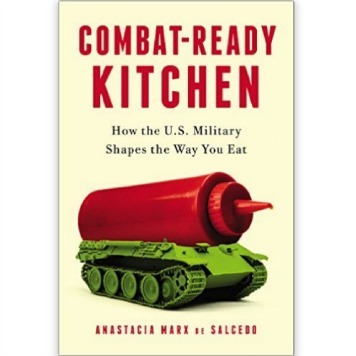 Fun, delicious, and educational are the words that best describe this book. This is a children’s cookbook that was designed to show children that learning how to cook is fun and exciting. This book teaches kids how to cook delicious, healthy, and easy recipes from scratch. Each recipe included in the book is simple to make and shows what foods in the recipe are in MyPyramid. Recipes include Nutty Couscous, Prepare-to-Share Salad, and Cheesy Peas Pasta. 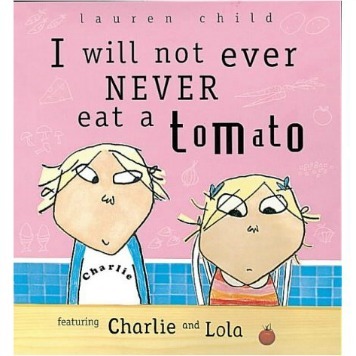 This book is a great way to get children to try new foods and to get interested in cooking. 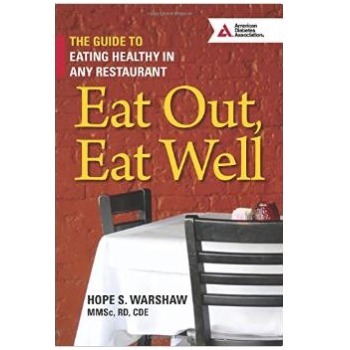 Although the book does try to make most of the recipes healthy, there are some recipes that are higher in fat and sodium. With these recipes, I recommend that parents and caregivers discuss moderation in the diet and why it is important. Also, some of the products used in the recipes could be supplemented with lower-fat versions. Try some of the tasty recipes included in the book. Have your child go with you to the grocery store to buy the ingredients for the recipe. Encourage your little chef(s) to help prepare and eat the foods made together. Discover other ways to experiment and learn about food in our Fun Kids Activity Section. To learn more about healthy fats, read Parents: Facing Fat Facts and The Truth About Trans Fats. 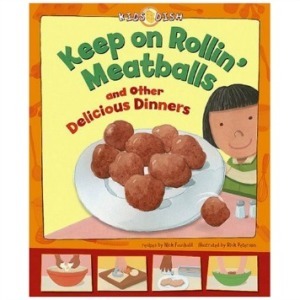 Keep on Rollin’ Meatballs and Other Delicious Dinners. Nick Fauchald. Picture Window Books, Minneapolis:2008.